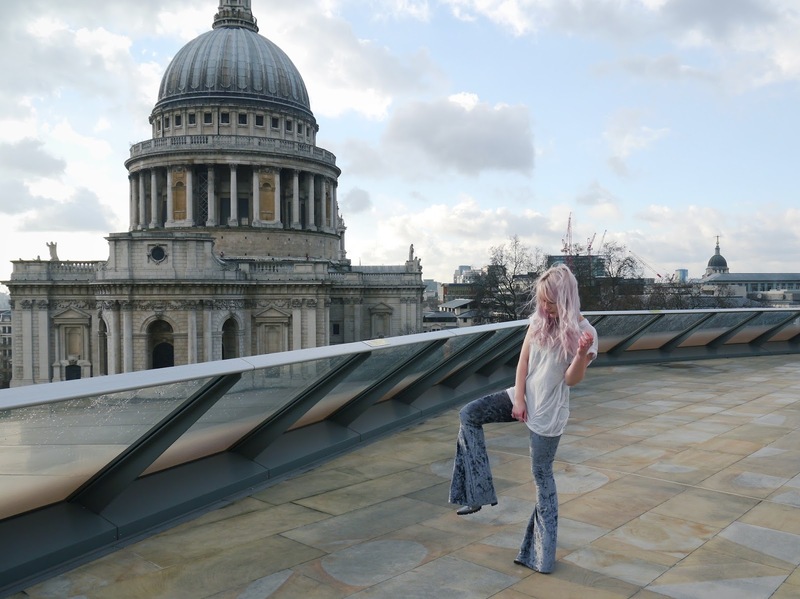 Ahh it was so much fun shooting these photos, this is the roof terrace of a shopping centre just 5min away from where we live! 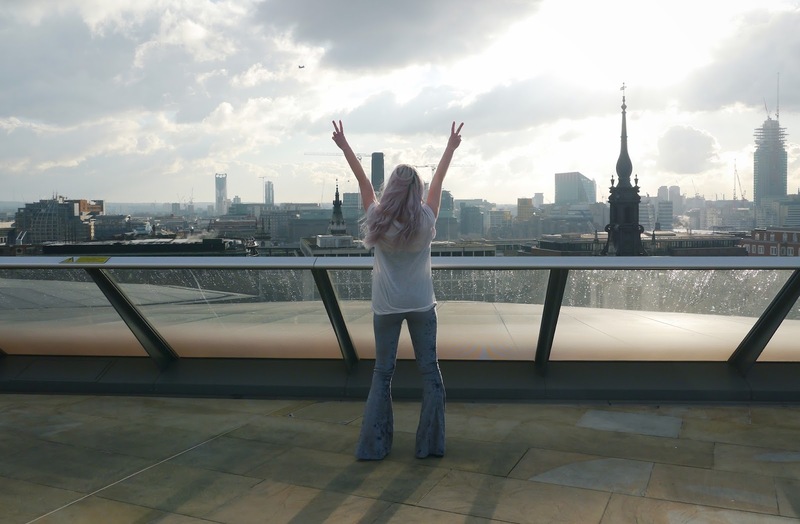 It's free to access and you can see everything from the Shard to the London Eye (and obviously St Pauls), I'll be doing a post on London's hidden treasures and this place will definitely be included. Look at these flares! They make me feel like such a rockstar. 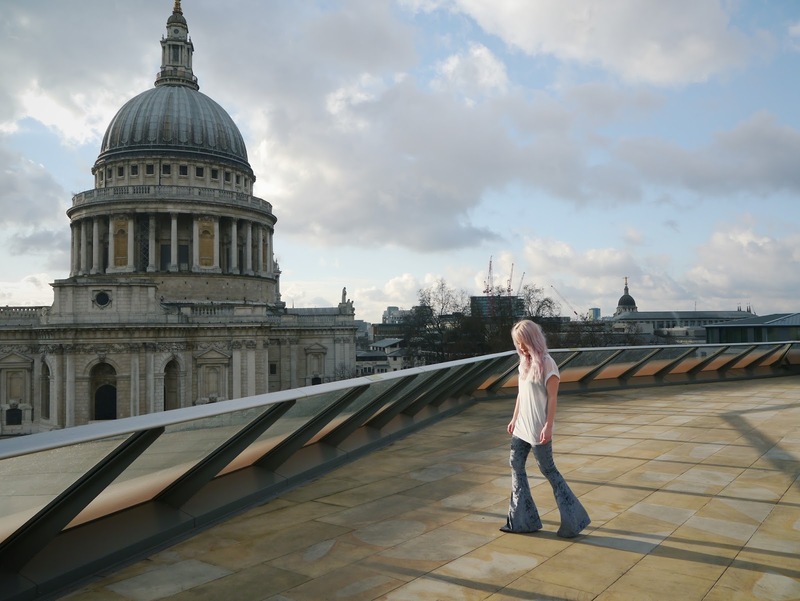 I guess this is almost a lesson in how to make a trend work for you and your own personal style - I'm not a fan of most things 70s, especially the warm colour scheme, but I love flares and they're set to be huuuge next season. So, I found the lovely Jen at Willows Call and she made these silver velvet babies custom to fit me. 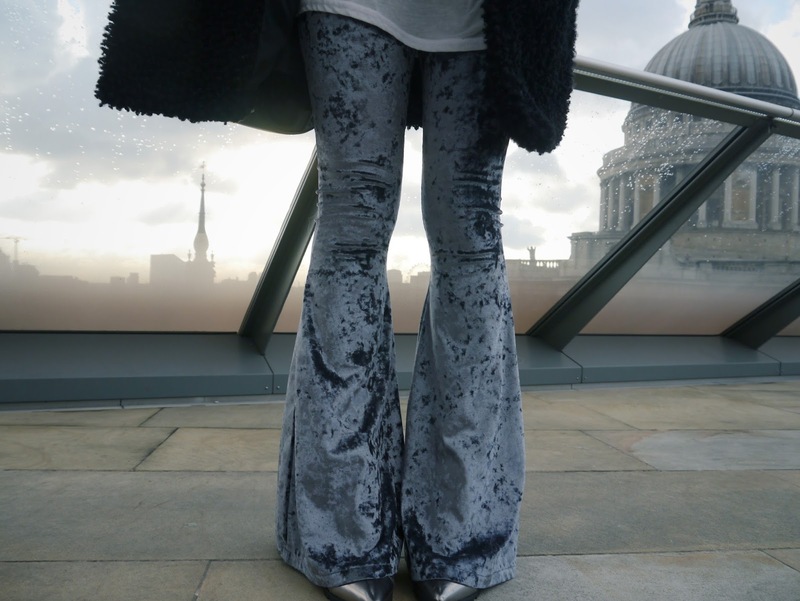 I had it in my head that I wanted a silver pair of flares and just couldn't find any anywhere; Jen sourced the fabric and made them to fit me to perfectly. These might just feature in my Fashion Week outfit! fab location!!! love going up to Madison's for cocktails in the summer! 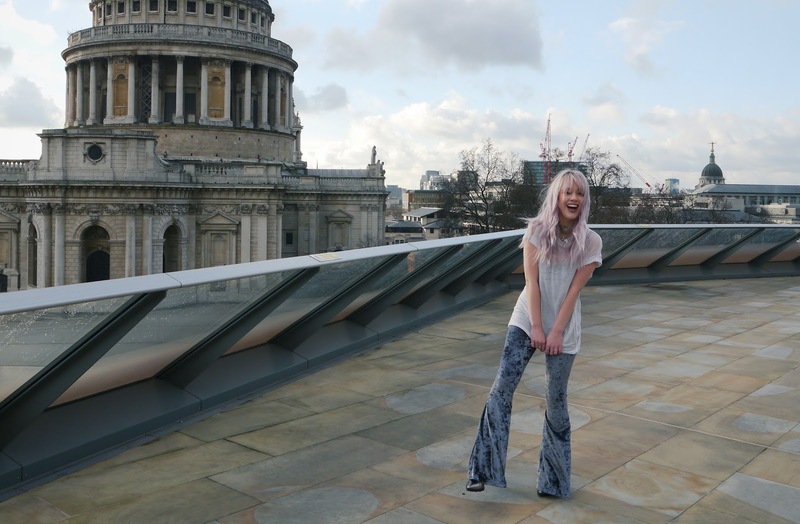 Wow these photos are awesome and those pants are so so so cute! 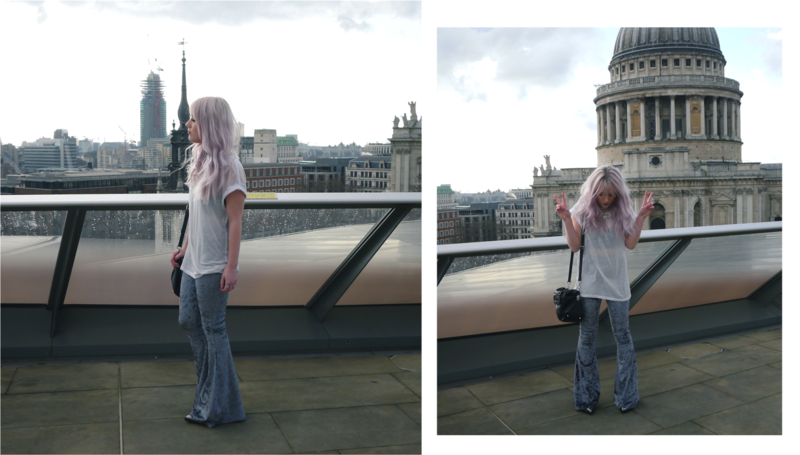 I'm not a 70s fan either, but holy crap your trousers and boots combo looks brilliant! I still don't think I'll be converting any time soon but you do make it look so wearable! 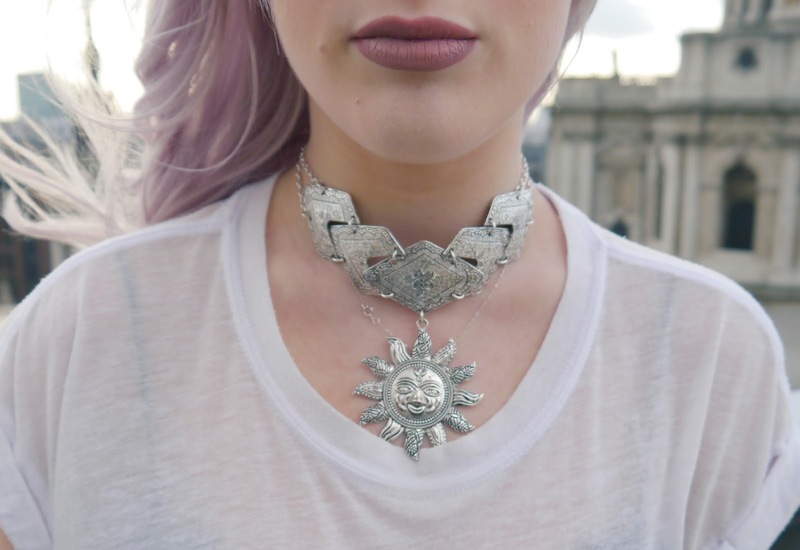 you have yourself a new follower in me - adore your style, ahh! Gosh ! 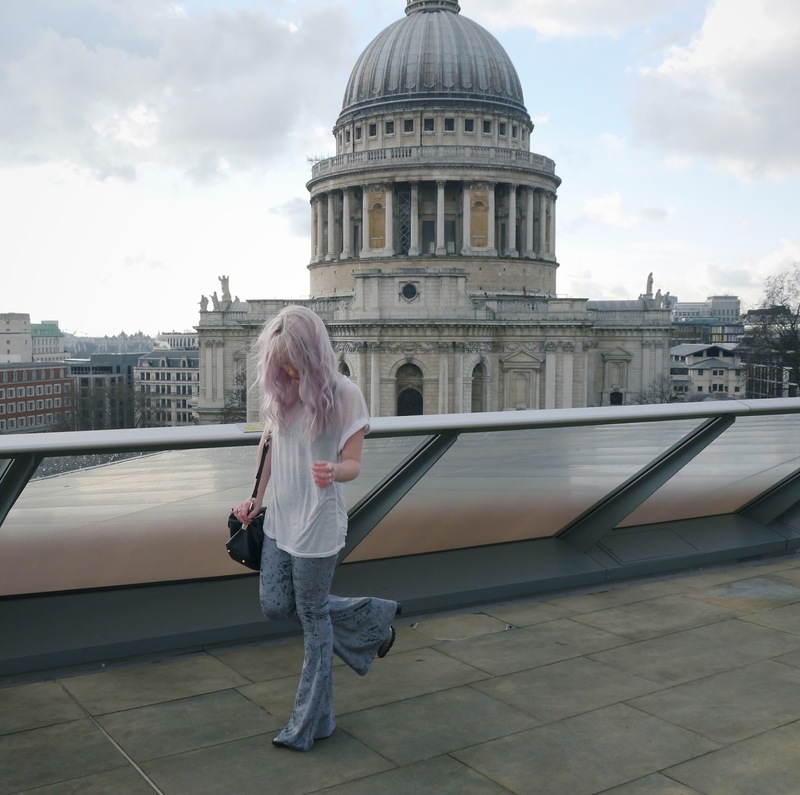 I work in Topshop in One New Change and didn't even know that I could go on the rooftop !